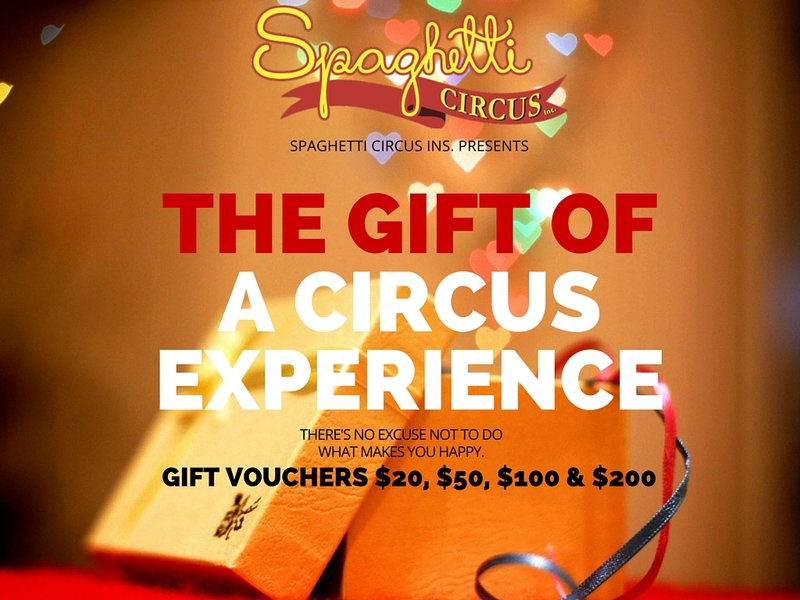 Gift vouchers are available in $20, $50, $100 and $200 amounts and can be used on any Spaghetti Circus product. Term classes, holiday workshops, Spaghetti Circus merchandise (singlets, t-shirts) and circus equipment at the Spaghetti shop. A circus experience gift can be life changing. With the world turning more and more to commercialism, a gift with an experience is the perfect counter to this. No extra plastic involved!! Just the love, support and family of a not for profit community circus. We have classes for 2yrs and up, we even have specialty classes for the mixed ability!